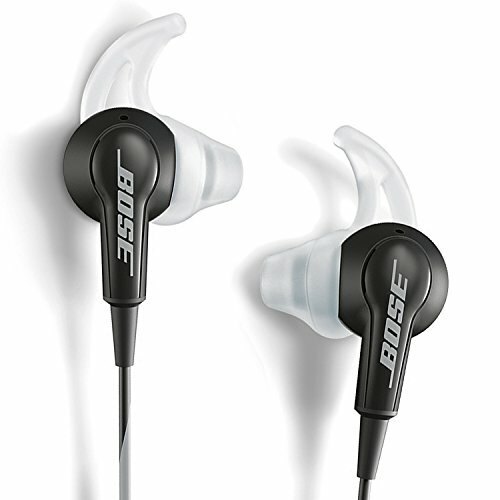 Bose SoundTrue In-Ear Headphones have the audio quality and sophisticated style your busy life demands. 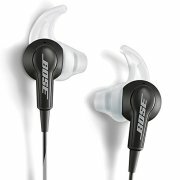 They deliver deep, clear sound for the music you love. The StayHear tips keep the headphones comfortably in place for hours of listening. They are engineered and tested for lasting quality and durability, and include a matching carrying case. And you’ll look good wearing them. SoundTrue In-Ear Headphones come in three colors to fit your style: Black, White and Cranberry. What’s in the box: SoundTrue In-Ear Headphones, 3-pairs StayHear tips (S, M, L), Carry case and Clothing clip.